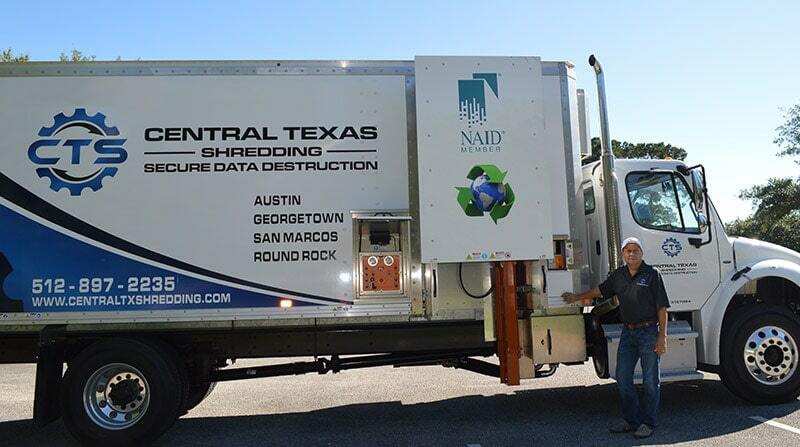 Our helpful team at Central Texas Shredding knows that not every client has the same needs. We would love to learn more about your unique business model and set up a personalized solution that works for you. We know that a lot of clients have more irregular shredding service needs, which is why we offer One-Time or Purge Project Shredding to our customers in Austin, Georgetown, Round Rock, San Marcos and surrounding areas. What Exactly is One-Time Shredding? One-time shredding is sometimes referred to in the industry as purge project shredding, and this is a very apt description. A purge project occurs when a company needs a lot of documents shredded in a very short amount of time. However, there isn’t always a need for more shredding after this one-time document purge is complete. A common example would be when a company with a large file room full of documents needs them to be securely destroyed very quickly. This is a frequent occurrence for companies as they grow and the years pass. Purging obsolete files allows your company to make room for new ones, or get ready for an upcoming office move. In cases like these, your company doesn’t necessarily need monthly recurring shredding—at least not right away. Instead, you can benefit from a one-time use of our services in order to get caught up on the backlog of documents. The best part is that you only have to pay for a one-time shredding project rather than having a monthly invoice to process. At Central Texas Shredding, our philosophy is to recommend shredding everything. We also suggest that you maintain a single, consistent policy for the way that all documents get disposed of on a daily basis within your organization. By sticking to a plan, you can ensure success. Can You Do More Shredding Services after the One Time Purge? This is a common question. Companies love the efficiency and peace of mind that shredding documents can bring. Some of our customers love it so much that they actually sign on for monthly scheduled shredding services after their one-time purge shredding service. We can work with you to set up a schedule that meets your needs. We recommend starting with a monthly recurring shredding plan, or scheduling out one-time shredding projects at regularly-planned intervals such as every three or six months. Other organizations find that occasional one-time purge projects are more than sufficient to meet their shredding requirements. What Are the Advantages of One-Time Shredding? Shred as much as you like—we’ll take care of it all! There’s no pressure to shred a lot of documents. Shred as much or as little as you need and we’ll still treat the job with the same great quality and care. Project-based shredding is more cost effective for smaller companies who don’t need as many items shredded. Feel free to click on the links in the drop-down menu above to learn more about the different types of secure shredding services we offer. Want to know if we can help your company with a one-time or purge project shredding service? Complete the contact form on this page and a friendly member of our team will be in touch!